We're proud of our A+ rating at Better Business Bureau and Angie’s List. We have a 5 star rating on Yelp, and Merchant Circle. Thank you! The best Plumber in the Bay Area! When it was time to call in a Plumber I interviewed a lot of plumbing companies and my Father, who is extremely picky, recommended Richard at Quick Plumbing Services. That was 5 years ago and Quick Plumbing Services is the only plumbers we will use. Richard and his team are punctual, professional, good people, the type of people you are comfortable inviting into your home. They have been there for us through several emergencies with our older home, remodeling and a complete re-plumbing. 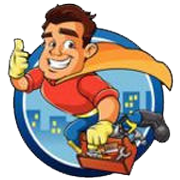 I frequently recommend Quick Plumbing Services to my family, friends and neighbors and now I recommend them to you. Quick response to my Plumbing problem. Prices are unbeatable. Very reliable plumber in San Jose. Did some drain cleaning and some plumbing repairs in my house a few times now. The only Plumber in San Jose you will ever need. Great for Seniors, Great for Everyone I am a senior, 75 years young, I received such good service I thought I should spread the word to other seniors, those with elderly parents and everyone looking for good, honest companies. I was upgrading a few things around the house and found myself in need of a plumber. I did my research and I decided I felt most comfortable with Quick Plumbing, Inc. They were on time, professional and they took the time to explain everything to me. They got the job done quickly for a fair price and they gave me a 10% senior discount! I highly recommend this company to everyone. These guys are awesome! I had guests staying at my house and the plumbing backed up throughout the house, of course this was on a Sunday, I called Quick Plumbing, they came out right away, fixed the problem before my guests woke up that morning. I figured I was in for a huge bill since it was an emergency call and on a Sunday but I was pleasantly surprised, the bill was so much lower than I thought and they gave me $25.00 off! So happy! Since then we have had them re-pipe our house, install some upgrades, etc. They are always here when we need them, always friendly and professional. Thank you Quick Plumbing! I am in my mid 70′s and Quick Plumbing has been servicing my plumbing needs for years. I decided to write this review because I am extremely grateful to Richard at Quick Plumbing for the years of great work and most recently for responding so quickly to my recent water heater emergency. My water heater broke on the weekend so I called Quick Plumbing. Richard took the time to explain what happened with my water heater then he took the time to help me choose the right replacement water heater for my household, replaced it and got me up and running again in record time. He takes special care of his customers and gives an extra 10% discount for seniors. Quick Plumbing Services is dedicated to providing the best service to our customers. Quick Plumbing’s Service and Repair offers all types of repairs and replacements for all of the major manufacture’s such as Kohler, American Standard, Moen, Delta, Grohe, Toto, A.O. Smith, Rheem, State, Bradford White, American, Insinkerator, Just, Stainless Steel, Crane and more. Quick Plumbing Services goes the distance! We look forward to going the distance for another decade of dedicated service for our customers. We know our business depends on your complete satisfaction and loyalty. Thank you.